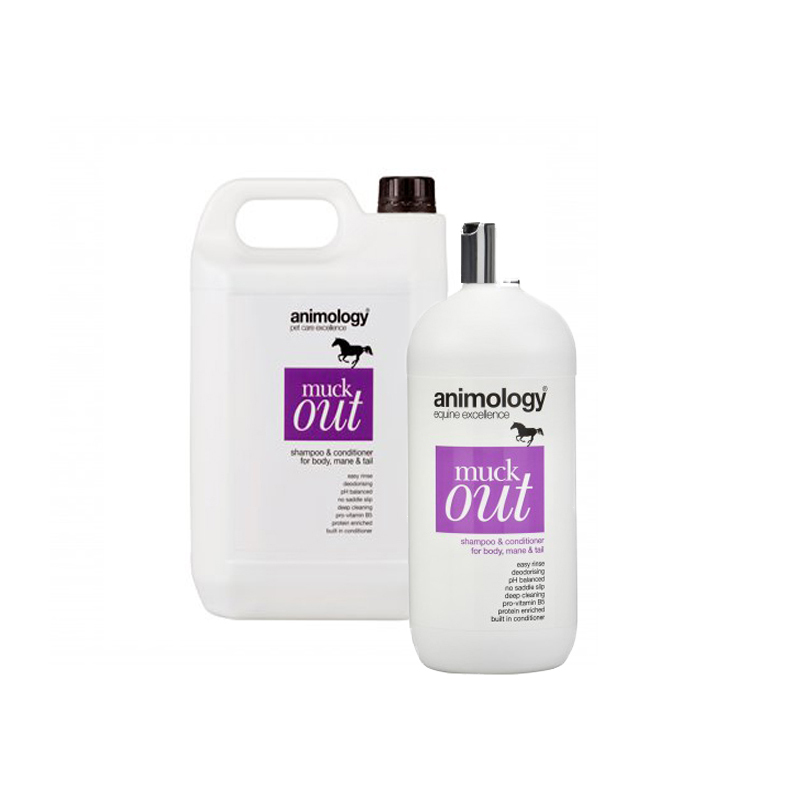 The deep cleaning action that Animology is famous for works by penetrating deep down to the skin lifting dust and dirt to the surface in order that it can be easily washed away. Animology 'Easy Rinse Technology' ensures that the shampoo is rinsed out quickly and efficiently, leaving as little residue as possible on the horse. This in turn helps reduce the risk of irritation, speeds drying time and despite using conditioners does not leave a slippery effect on the hair that could encourage saddle slip.